Nationality: French. Born: Jules Auguste César Muraire in Toulon, 17 December 1883. Military Service: French Army, 1914–15: discharged for health reasons. Family: Married in 1936, daughter, Paulette. Career: Began performing as singer and actor in caféconcerts in Toulon; changed name to Raimu for engagement at Casino de Toulon, 1899–1900, and toured in southern France and North Africa for the next few years; 1905—worked as croupier in Aix-les-Bains; 1910—in Felix Mayol's performing group in Paris, and became successful performer at the Folies-Bergère and other clubs; 1915—first legitimate theater role in Feydeau's Monsieur Chasse , followed by roles in other stage plays; 1929—created the famous role of César in Pagnol's Marius , later recreated in film version; 1931—sound film debut in Le Blanc et le noir ; 1944–45—member of the Comédie Française. Died: In Neuilly, France, 20 September 1946. "Raimu m'a parle," interview with Chantal, in Cinémonde (Paris), 6 November 1930. "Pourquoi l'acteur et le metteur en scène doivent étroitement collaborer?," in Pour vous (Paris), 24 December 1931. "Quelques minutes avec Raimu," by Henri Calef, in Paris-Midi (Paris), 22 September 1932. "Les Souvenirs de Raimu," in Pour vous (Paris), no. 213–218, 15 December 1932/19 January 1933. "J'aime toujours le théâtre, mais . . . ," in Le Jour (Paris), 3 October 1933. "Quand j'étais Tartarin," in Ciné-Miroir almanac, 1935. "Raimu écrit et se décrit," interview with Claude Christians, in Ecran Français (Paris), 23 October 1946. Fronval, George, Raimu, sa vie, ses films , Paris, 1939. Olivier, Paul, Raimu, ou La Vie de César , Paris, 1947. Régent, Roger, Raimu , Paris, 1951. Perisset, Maurice, Raimu , Paris, 1976. Oliver, Paul, Raimu, ou L'Epopée de César , Paris, 1977. Brun, Paulette, Raimu, mon pere , Paris, 1980. Brun-Raimu, Paulette, Raimu: Une Biographie , Paris, 1982. Lacotte, Daniel, Raimu , Paris, 1988. Moustier, J., "Raimu, ou le 'bon garçon' du Midi," in Cinémonde (Paris), 15 September 1932. "Raimu" issue of Visages (Paris), December 1938. Jeanson, Henri, "Quand M. Raimu joue rétrospectivement les héros de la Marne," in La Flèche (Paris), 16 December 1938 (also see Raimu's response in La Flèche , 23 December 1938). Cocteau, Jean, "L'Arrivée de Raimu au Théâtre-Français," in Comoedia (Paris), 25 September 1943. Cocteau, Jean, "M. Raimu à la Comédie-Français," in Comoedia (Paris), 1 April 1944. Obituary in New York Times , 21 September 1946. Pagnol, Marcel, "Raimu, mon compagnon," in Opéra (Paris), 2 October 1946. Fronval, George, "Témoignages sur un comédien, recueillis et présentés par . . ." (series of ten articles), in Cinémonde (Paris), 22 October 1946 to 7 January 1947. Senez, Monique, "Les Grand Jules va ressusciter," in Ecran Français (Paris), 22 and 29 July 1947. Jacobson, H. L., "Homage to Raimu," in Hollywood Quarterly , Winter 1947–48. Régent, Roger, "Il y a deux ans mourait Raimu," in Ecran Français (Paris), 5 October 1948. Rim, Carlo, "Raimu chez Molière, tragédie en un acte," in Ecran Français (Paris), 3 October 1951. "Souvenirs sur Raimu," in Le Figaro Littéraire (Paris), 7 September 1963. "Pagnol raconte Raimu," in Télérama (Paris), 26 December 1965. Leprohon, Pierre, "Raimu," in Anthologie du Cinéma , vol. 2, Paris, 1967. "L'adieu de Marcel Pagnol à Raimu," in L'Avant-Scène du Cinéma (Paris), July-September 1970. Cornand, A., "Raimu aurait cent ans," in Revue du Cinéma (Paris), October 1983. Vincendeau, G., "Daddy's Girls," in IRIS (Iowa City, Iowa), no. 8, 1988. 24 Images (Montreal), Spring 1989. Between 1931 and 1936 the playwright Marcel Pagnol, turned screenwriter and then director, brought to the screen a trilogy, Marius , Fanny , and César , starring one of the best-loved French comedians, Raimu, who proved that a simple, natural comic style would work best in the contemporary French cinema. 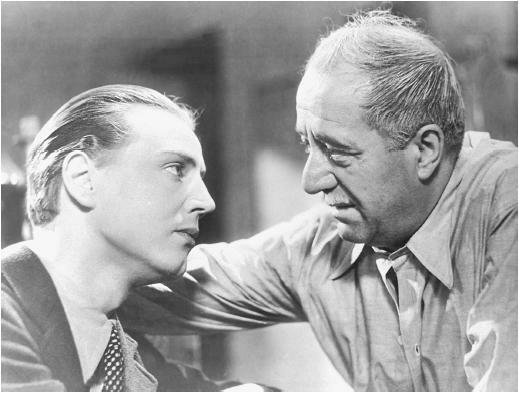 As César, the father of the wronged Fanny, he depicted the dignity of a poor man in a waterfront world trying to get along in a difficult situation. Raimu's attempt to preserve the honor and happiness of his abandoned, pregnant daughter ran the gamut of humor with a grace in acting seldom seen on the screen. In the early 1940s director Pagnol would rework the same theme in La Fille du puisatier with an effective pairing of Raimu as the father and Fernandel as the suitor whose marriage to the daughter would solve the delicate situation of having an unwed mother. An earlier film, The Baker's Wife , created in the late 1930s by Pagnol, was probably Raimu's most humorous film. The touch of sympathy he elicited for the character prompted some critics to compare Raimu's technique with Chaplin's method of combining pathos and humor. Raimu played the baker whose wife had run away with a younger man, depicting a mild-mannered soul who gives up his trade because of his sorrow over his unfaithful wife. These works with Raimu as the star represent some of the best comedy made during the golden period of French film in the 1930s and early 1940s. The writing and directing genius of Marcel Pagnol merged and complemented the acting genius of Raimu to produce these comic masterpieces.